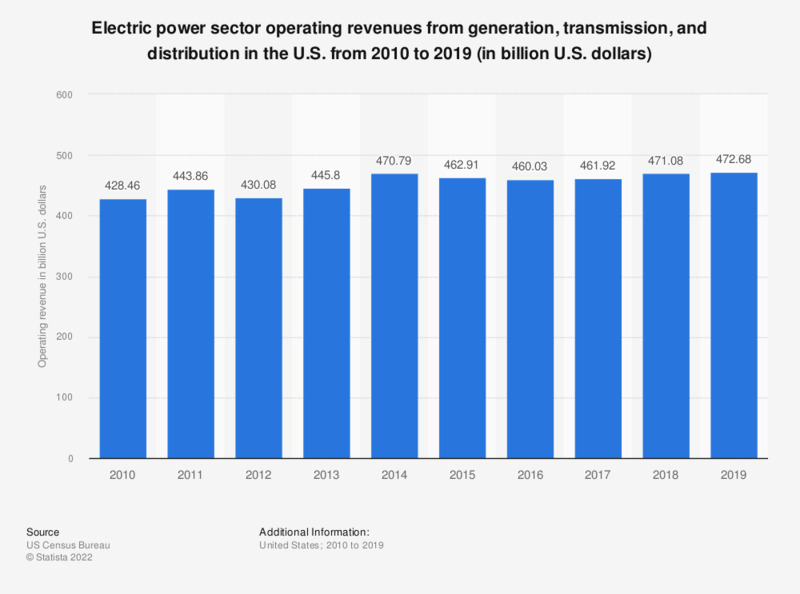 This statistic indicates the operating revenue associated with the generation, transmission, and distribution of electricity from the electric power sector in the United States between 2010 and 2016. In 2016, the total operating revenue amounted to some 462 billion U.S. dollars. Figures have been compiled from several editions of the data report.